I wanted the space afforded by three novels to explore the story and the characters in a meaningful way. Plus, I really enjoy these characters and it's a great deal of creative fun to work with them a bit longer. I don't want to "milk" (drag out) the storyline to the point where both I and any readers would lose interest. I've experienced that as a reader a few times, and I don't want to replicate that in my own writing. So, announcing a Trilogy gives me a firm barrier -- you may write this far, but no farther, so get it right and get it done. Beta-readers have already begun returning their pre-release copies of the next novel, and I believe I am on track for a late April or early May release date. My hope and intention is to have the Trilogy completed before year's end. 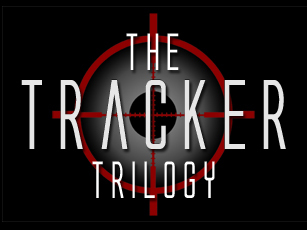 Feel free to cruise through the Tracker Trilogy website! 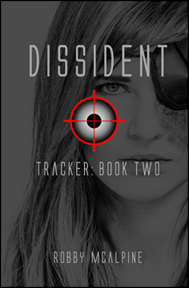 The link at the top of this blog will take you there, as will the book cover icon in the sidebar at right. I am excited at how the series is taking shape, and am looking forward to starting the final book in just a few weeks. Is this your first foray into writing fiction? It is very well written. I really like the world you created. I am feeling frustrated that I can't read as fast or for very long at a time -- dyslexia is a side effect of one of my Parkinson's drugs. I still keep buying books, and I don't think I will ever read them all.